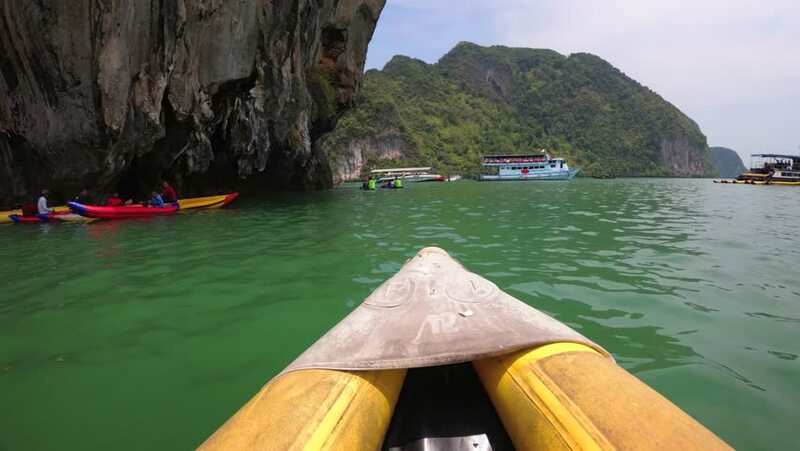 Kayaking through peaceful green sea waters. beneath overhanging limestone cliffs. from an onboard perspective. in Phang Nga Province. Thailand.